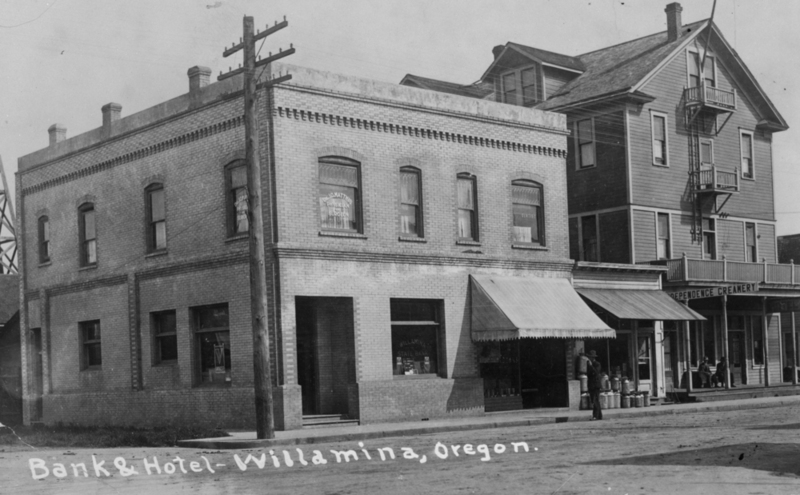 Built at the turn of the century as the Commercial Hotel when the then frontier town of Willamina was in it’s beginning stages, it hosted many men who had come west and either risked their lives to work in the early logging industry or at the town’s flourishing brick plant. Business men and then eventually some ladies moved in creating an informal brothel. The hotel was built as a three and a half story building but was reduced to two stories in a fire that swept though the whole downtown in the 1930’s. As the automobile became the preferred mode of transport and leisure travel more possible, tourists made their way here and then on to the long bumpy road to the Pacific Ocean. 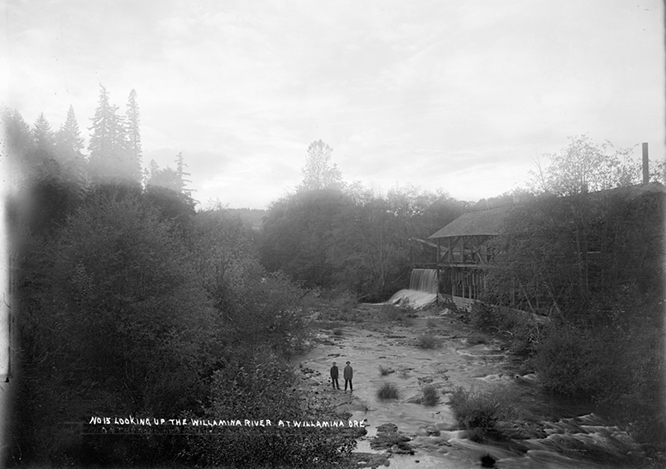 Willamina’s Main St. remained the only route to what would later become Lincoln City until 1957 when the by pass highway diverted traffic around the town. Wildwood’s main floor has been run under several names through the years as the upstairs evolved into apartments, Danny’s and then Vic’s became the place to grab a burger, drink and little swing around the dance floor. In more recent and little known history, it has been said that Victor Branson long time owner of Vic’s who had moved in the early 1960’s from Bakersfield, CA was related to Merle Haggard and that through the 70’s a large tour bus could be found parked behind the hotel at times. There are rumors of late night roof top parties with the country star. In 2004, two homegrown sisters Meredith and Katie Kendall purchased the hotel after having lots of luck with a very successful small cafe in McMinnville, Wildwood Cafe. The hotel rooms were brought back to life and with help from their mother Margery. 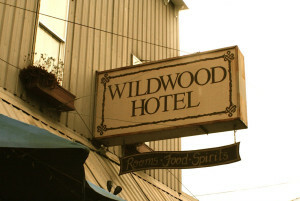 Wildwood Hotel opened in January 2005. Wildwood hopes to continue to honor the pioneering spirit welcoming the off the beaten path traveler. Music is also a huge part of who we are and have been visited by surprisingly well known talent that we get to enjoy up close and personal in our small town at both the Wildwood Hotel and Wildwood MusicFest held in late July.